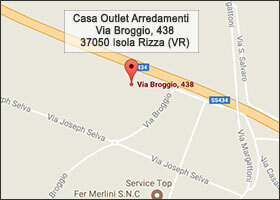 Based in Isola Rizza – Verona. Whether looking for style inside or outside the home, High In Design is sharp, classic, elegant and contemporary - look no further for exceptional quality. The connoisseurs of furniture and household items will find elegant solutions at amazing prices. Our unique items like, sampling, prototypes and goods used for photos and television sets, discontinued products from warehouses of the best Italian and international furniture brands. We ensure that our designs are sourced from craftsmen who only use the highest quality finishes and materials, without forgetting style and refinement. Day by day we add new products only available in limited qualities. The wide product range includes exclusive collections characterized by very competitive price. ► JOINS IN THE CASA OUTLET'S WORLD AND REALIZE YOUR DREAM HOME ACCESSORIES.